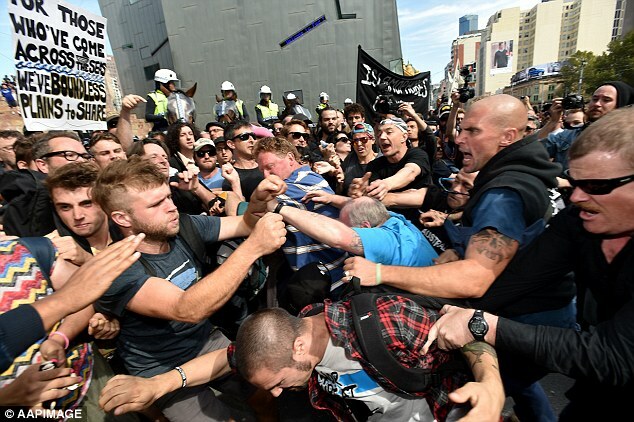 So there was a protest in Melbourne today that turned violent. It was an anti racism protest: which sounds great. I support a non-racist worldview. But it turned violent when the protest clashed with an anti Islam protest….. Yet he missed the fact that they were hating on the anti Islamic protestors: clearly people who were different to them. I really don’t understand how people don’t see the irony or even the hypocrisy of what they are saying. It’s like people who accuse me of being judgmental on social media. I always make comment that by pointing out my apparent judgmental stance: aren’t they being judgmental toward me? They fail to see the irony. Similar to those who subscribe to the Doctrine of Tolerance. Again I have come across people who passionately preach this doctrine, saying that I, as a Christian and as a Pastor should be more tolerant….But then I ask them, shouldn’t they, as passionate believers of tolerance, tolerate me, even though they see me as intolerant? I never get clear answers. Anyway, that’s my musing for this afternoon. ‹ Peter Pilt’s San Andreas Movie Review (Without Being a Spoiler). Pete, as a Christian, there are things you will always be intolerant of, that is the nature of our faith, sadly, these special interest groups will always miss that point. As Christians, we have to be extremely careful about tolerance. Why even report this Peter? There are plenty of scuffles in the name of racism and free speech. You’re not in Melbourne, so I don’t get it…. were you there??? No I wasn’t there. But the hypocrisy of so much of society is alarming. The same goes for discrimination. I choose to live in one house and therefore I discriminate against the ones I do not live, or in favour of the one I choose to live in. Discriminate used to be a positive word, but like other words such as “gay” and “partner” it’s been corrupted by those who don’t wish to hear that their lifestyle is sinful.